Built from a Paolo Severin kit, Charlie Palmer’s 25% scale Fieseler Fi-156 Model D1 Storch has a wingspan is 139 inches, weighs 41 lbs., and is electric powered with a Hacker A60-18L motor (roughly equivalent to 50cc gas). A pair of 6S 5000mAh Lipos and a Jeti SpinPro Opto 99 ESC provide the motor with plenty of juice for better than scale like performance. Clarlie’s Storch in RAF colors. The Storch also has a Benedini sound system, which uses a digital sampling of the Argos V8 that was used in the full-size Stretch. Radio system is Futaba, with a 14SG transmitter and a R7008 receiver. Charlie used Hitec HS-5685-MH servos. 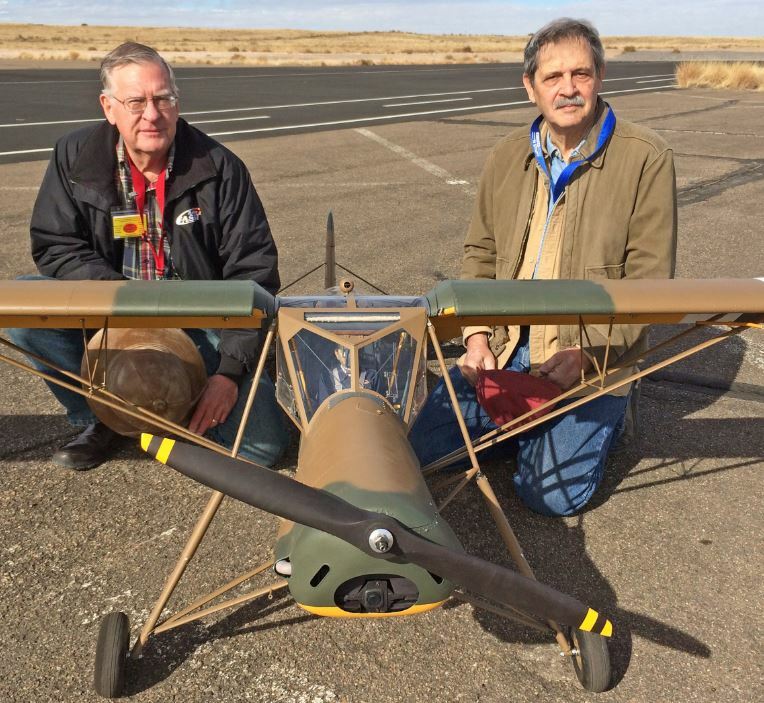 A first-time Top Gun competitor Charlie (right) is from Albuquerque, New Mexico and will be competing in Team scale with his pilot Stan Johnson. Charlie has been involved with RC airplanes for 22 years, and the Storch is his first effort at producing a precision-scale RC model, and it looks like he did a great job with the details both inside and out. The scale pilot at the controls really looks like Charlie. 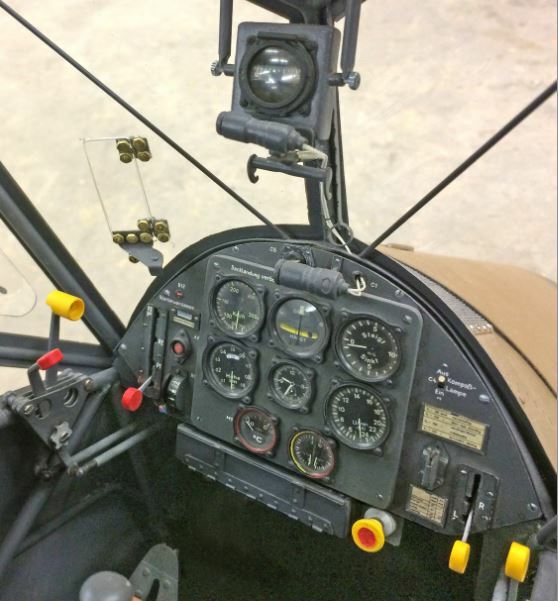 The instrument panel and details in the cockpit are first rate! The model is based on a Storch that was captured by the Allies in North Africa in 1943 and repainted in RAF colors. It became the personal airplane of RAF Air Vice Marshall Harry Broadhurst. 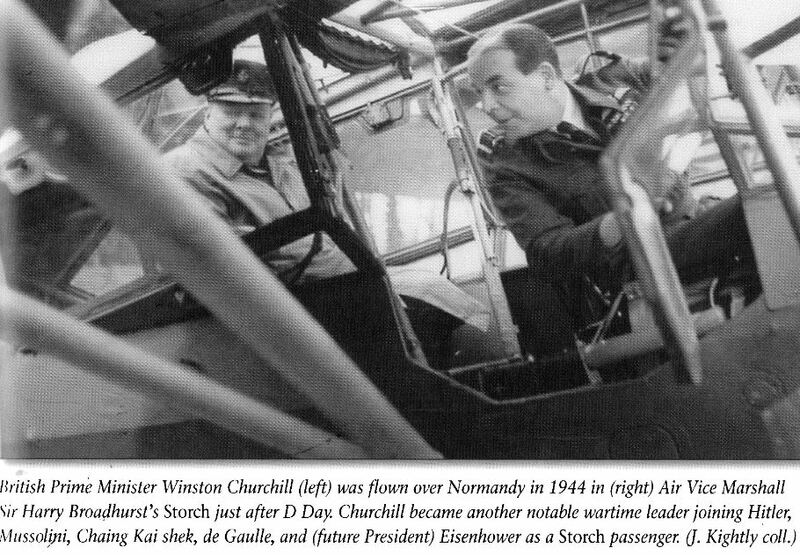 After D-Day, in July 1944, Broadhurst used his Storch to ferry Prime Minister Winston Churchill to battlefields in France. So, the plane has invasion stripes, and Churchill is in the passenger seat. This Storch was destroyed in an accident in April, 1945; Broadhurst was not injured. I have also included a photo of Churchill and Broadhurst in this airplane. Cool…….one of my favorite aircraft!! 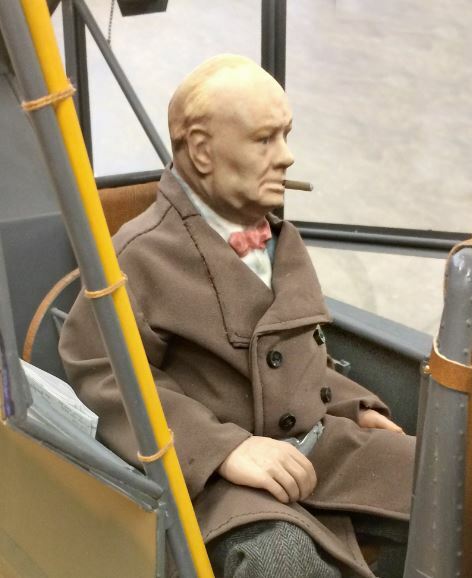 I never know there was a captured version nor that Churchill flew in one. Learn something new. Beautiful model and great details!!! We have one at “Fantasy of Flight,” here in central Florida. It even flies from time to time. The owner is Kermit Weeks…part of his amazing collection. I love watching that thing fly….maybe time to make one. I flew in one that was based at Markham airport north east of Toronto. It was a french built Storch with a radial engine. The owner also had a Howard DGA. These two aircraft had speeds at opposite ends of the spectrum. 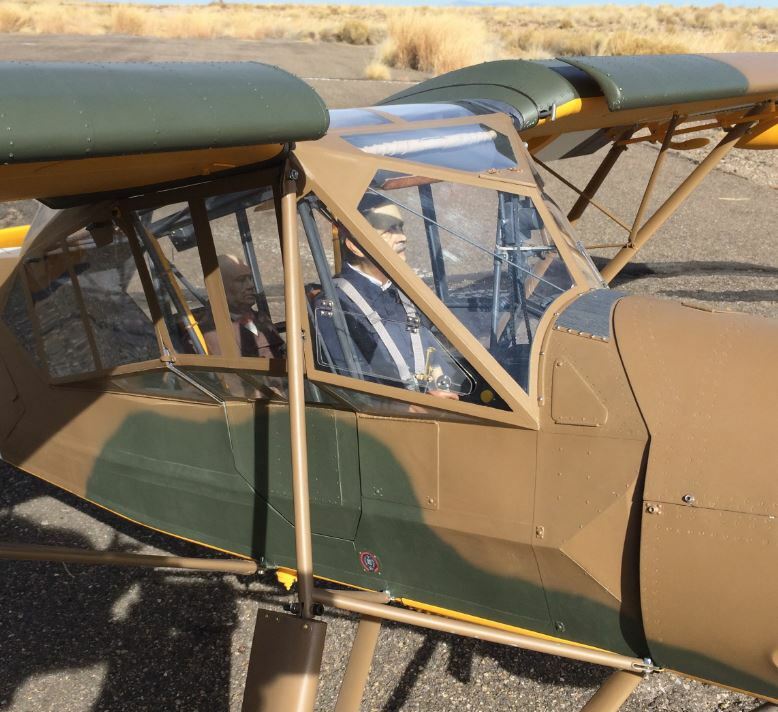 Great Storch – – I fly a 48 inch electric version on skiis off my lake in Saskatchewan – -great choice for scale as it provides a wide range of flight modes with it’s STOL capabilities. Love to read a detailed article on this larger one. Not one of my favorite war birds, but I still admire your presentation of it. Even Churchill looks good. You could have done an Axis version with Mussolini in back ha ha, but this is much better. Good Luck at Top Gun.